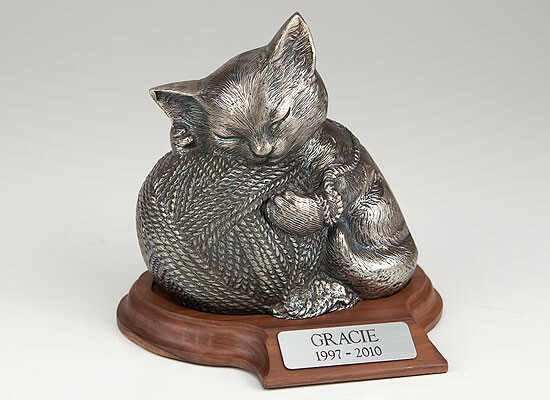 Choose from our hand-picked selection of precious pet cremation urns for cats. We know what a terrible loss it can be when a beloved kitty dies. They can be with us for as many as 20 years and are such an important member of the family. 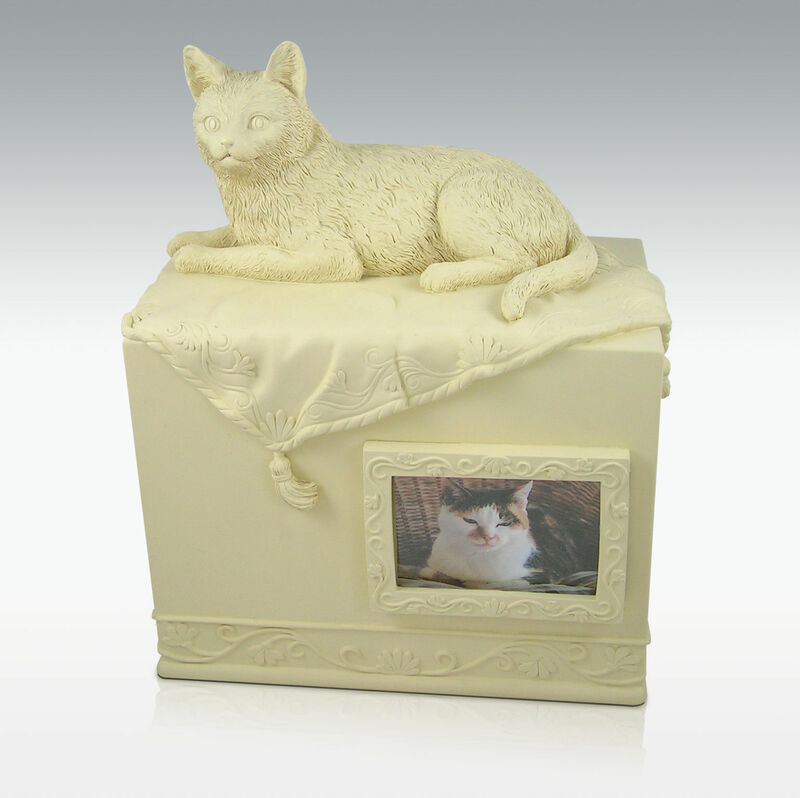 We have selected some really special urns for you to treasure the remains of your beloved fur baby. Keep them with you for ever and honour their memory with a lovely keepsake. Some can be engraved with your cat's name, and others have an inbuilt photo frame. All are beautiful ornaments for you to treasure. We wish you every sympathy for your loss. 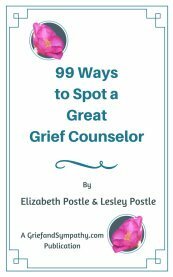 If you are having difficulties with your grief, read our page about grieving for the loss of a pet. 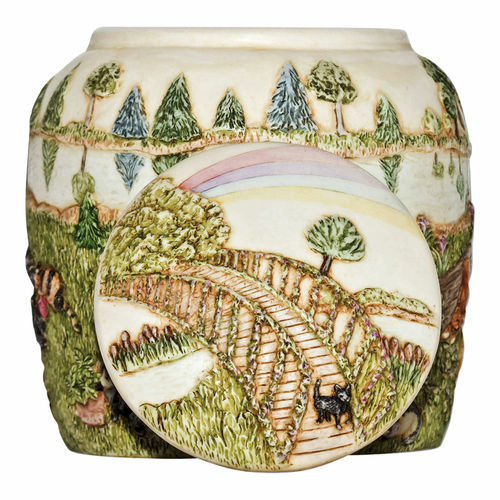 This pretty urn depicts the well-known Rainbow Bridge from the poem. It is made from crushed marble and resin. A wonderful way to commemorate your feline friend. This stylish urn can be used for keepsakes or ashes. It has a space for a photo of your beloved kitty. 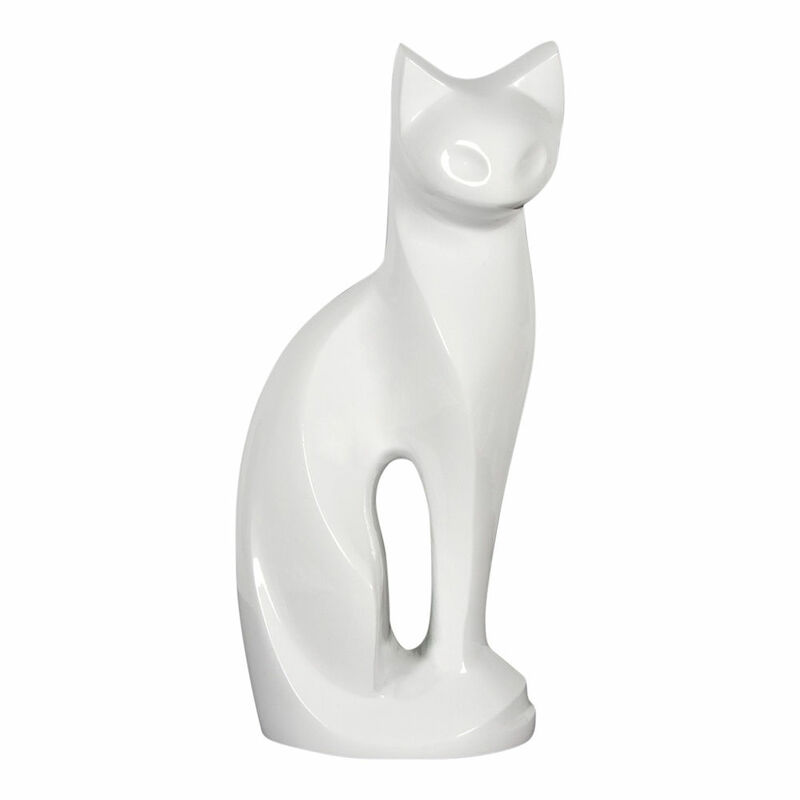 A stylish modern urn which will enhance a minimalist interior. This cat has a vintage or deco look. It is made of solid brass with a white finish. Quality which will last. 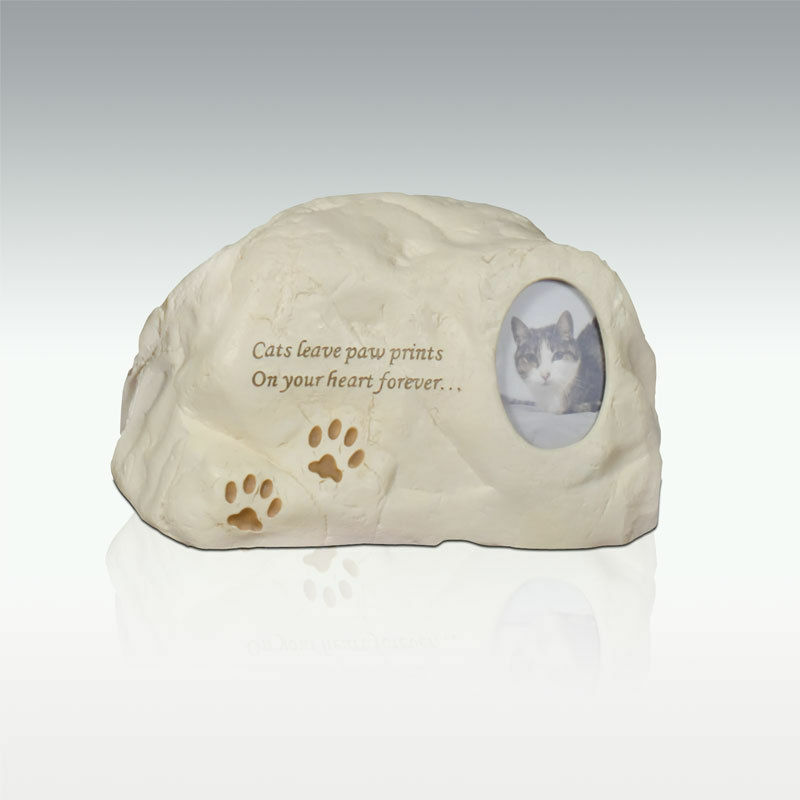 A stone urn with the text "Cats leave pawprints on your heart forever. . . "
There is room for a photo of your favourite pet for remembrance. 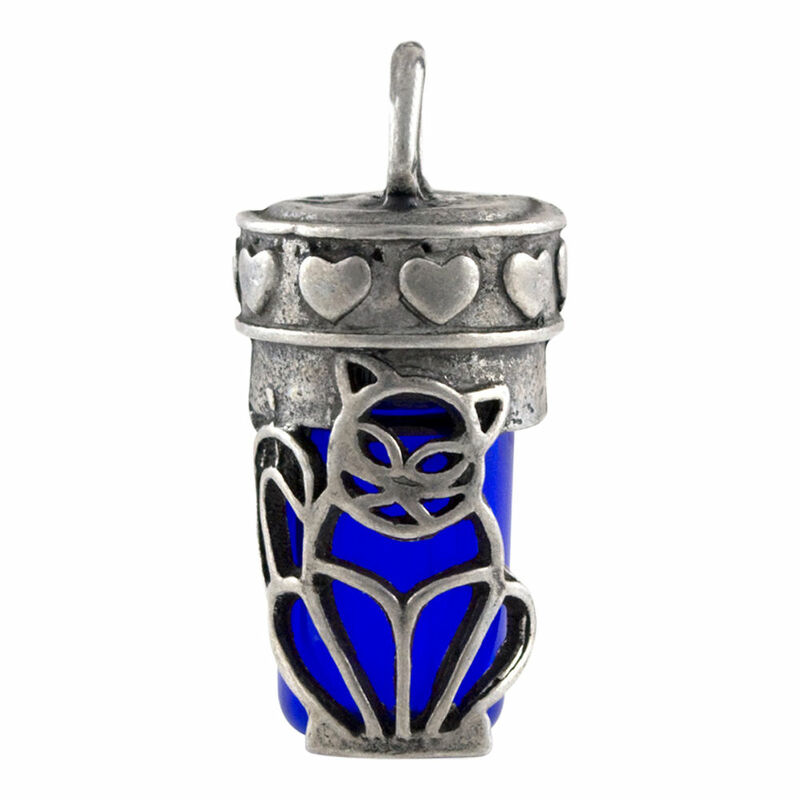 Perfect Memorials also does a beautiful range of cat cremation jewelry. Click through to their store from this item page to see the full range of designs and colours. Wear a pinch of your fur babies ashes close to your heart. You can buy these cute urns with or without the wooden base. Some might not want everyone to know it is an urn, but just a beautiful ornament. 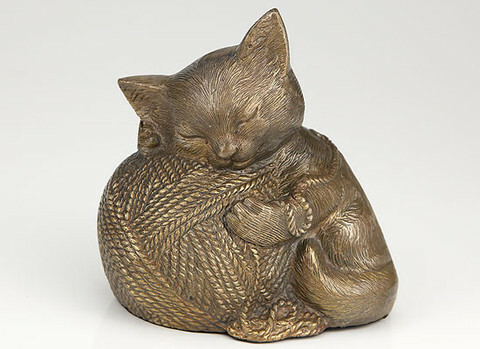 Others like to have the name of their precious kitty engraved on the base. Whatever you choose these will be with you for ever. Amazon always have a great variety of pet cremation urns to choose from. These are just a few. You'll see more when you click through. If you're in the UK, click here for Amazon UK's selection.